Elliot A. Norse is a marine and forest conservation biologist. His Ph.D. and postdoctoral research in the 1970s examined the ecology of blue crabs (Callinectes spp.) in Jamaica, Curacao, Mexico, Panama, and Columbia. Since then, he has devoted his career to incorporating conservation biology into environmental decision making as a staff member or consultant for US federal agencies, international governmental organizations, scientific professional societies, conservation organizations, and foundations. His writings include more than 50 publications on environmental policy, conservation biology, marine ecology, forest ecology, and human-caused climatic change. In 1986, as Public Policy Director of the Ecological Society of America, Elliot Norse worked with The Wilderness Society to write Conserving Biological Diversity in Our National Forests. He is also the author of Ancient Forests of the Pacific Northwest (Island Press, 1989), Global Marine Biological Diversity: A Strategy For Building Conservation Into Decision Making (Island Press, 1993), and Marine Conservation Biology: The Science of Maintaining the Sea's Biodiversity (Island Press, 2005). Larry B. Crowder is Stephen Toth Professor of Marine Biology at Duke University. Crowder focuses on predation and food web interactions, mechanisms underlying recruitment variation in fishes, and on population modeling in conservation biology. Crowder currently serves on the Ocean Studies Board, National Research Council, National Academy of Sciences and on the scientific steering committees for the Global Ocean Observing System, the Global Oceanic Ecosystem Dynamics Program. He is a member of the IUCN/SSC Marine Turtle Specialists Group and head of bycatch subgroup. He is also a member of the editorial board for Ecological Applications and serves as a science advisor for the Earth & Sky Radio Series. Michael Soulé is Professor Emeritus of Environmental Studies, University of California, Santa Cruz. A founder and first president of the Society for Conservation Biology and The Wildlands Network, Dr. Soulé has written and edited nine books on biology, conservation biology, and the social and policy context of conservation and has published more than 170 papers in journals. Soulé is a fellow of both the American Association for the Advancement of Science and the American Academy of Arts and Sciences. Among his many honors, Dr. Soulé is the sixth recipient of the Archie Carr Medal and in the first class of recipients of The Edward O. Wilson Biodiversity Technology Pioneer Award. 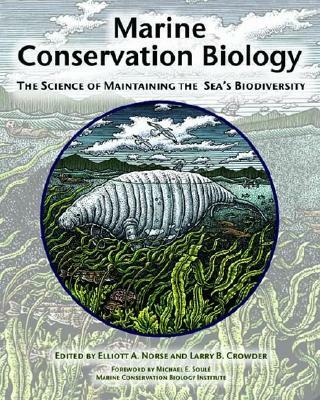 "With a focus that includes solutions as well as problems, this book is a timely and valuable reference for students, scientists, and conservationists." "Finally, there is a book that focuses on solutions in addition to issues and threats, and addresses crucial topics, including place-based management of marine ecosystems and the legal and ethical frameworks for ocean policy with depths, scholarship, and courage. This is a wonderful resource for learning, teaching, and inspiration."